Nau Mai, Haere Mai. Welcome! Welcome to Kerikeri Primary School. Nau Mai Haere Mai. Kerikeri Primary School is a unique school that is committed to providing world-class learning to the children of our community. While we might be considered a large school, we retain a closeness and whanau (family) feel often only found in small schools. Our children are engaged and vibrant learners who enjoy the dual benefits of a real ‘kiwi’ upbringing in an idyllic semi-rural coastal environment and the innovative, future-focused learning environment of Kerikeri Primary School. At Kerikeri Primary School we pride ourselves on ensuring that children learn in a safe, nurturing and positively challenging environment that values the holistic development of the child; acknowledging that each child will go on to contribute to our communities. 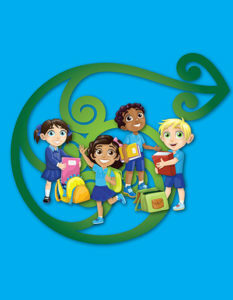 It is this understanding that ensures that we retain a broad and rich curriculum that values essential Literacies and Numeracy in conjunction with the Key Competencies of the New Zealand Curriculum – Thinking, Relating to others, Using Language, Symbols and text, and Participating and Contributing. We look forward to welcoming your family to Kerikeri Primary School. Please contact us now if you are intending to enrol your child at any stage in the future. Please click here to download an enrolment pack.